The seaside town of Pakbara is known mainly for a large pier servicing speedboats and ferries to Ko Lipe, Ko Tarutao and Ko Bulon Lae. Should you miss the boat, or you simply have a penchant for hanging around port towns, a smattering of rooms and eateries dot the main drag. Set at the mouth of the Pakbara River beside the northern end of Route 4052, Pakbara Pier is one of Thailand’s busiest during high season thanks to the ballooning popularity of Ko Lipe. It gets chaotic when several boats arrive and depart every day during high season from November to April. Don’t forget to unpack your patience before venturing into the pier. Beyond the pier, Pakbara hosts a dusty strip of cement shophouses, an unkempt coastline, and very little else. Several travel offices stand ready to sell ferry or minibus tickets near the pier, and this is also where you’ll find the main visitor centres for Mu Ko Phetra and Mu Ko Tarutao national marine parks. The few guesthouses are rundown and this isn’t the most welcoming place in Thailand; don’t stick around if you can help it. The beach near Pakbara Pier mostly consists of stinky silt and spare boat parts, but a more pleasant beach at Ao Noon, five kilometres to the south, is worth keeping in mind if you’re looking to kill some time. From here you can see Ko Khao Yai, a forested island near shore that’s part of Mu Ko Phetra National Park and does allow camping. Day tours by speedboat to Ko Lipe and other islands in the Adang archipelago can be arranged in Pakbara, though most foreign travellers prefer to stay on Lipe. At time of writing, many of Pakbara’s residents are doing battle with the Thai government over plans to build a deep-sea shipping port in the area. If built, the port would damage the marine life and undermine the preservationist goals set by the marine parks. It would also drastically change the face of Pakbara, a predominantly Muslim town relying on fishing and tourism. Along with stacks of travel offices, the main drag near the pier hosts convenience stores, eateries, internet cafes, ATMs and shops where you can pick up a swimsuit or beach towel. The police have a presence at the pier, but the nearest hospital is located in La-Ngu, a larger and similarly uninspiring town located 10 kilometres inland on the way to the provincial capital of Satun.  Please sign up as a Travelfish member to download the Pakbara guide PDF (1.5 MB, 12 pages). Membership costs just A$35 per year (less than A$1 per week) and gives you access to over 250 PDF guides. Browse our independent reviews of places to stay in and around Pakbara. Read up on where to eat on Pakbara. Read up on how to get to Pakbara, or book your transport online with 12Go Asia. Planning on riding a scooter in Pakbara? Please read this. 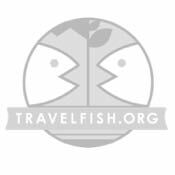 Use the above map to find specific destinations in and around Pakbara which are listed on Travelfish. Bed icons indicate a guesthouse, hostel or hotel, the knife and fork is an eatery or bar and the four-way circular thingy marks sights, attractions and other points of interest. Click on any icon for a short pop-up and a direct link to the page for that spot. If you are in the area, use the teardrop icon near the top left to show your position on the map (you'll need to allow position sharing for this last feature to work).